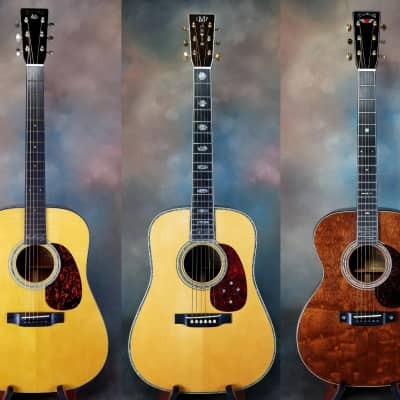 The Martin Stephen Stills Signature D-45 was made as a very limited edition around 1998/1999 as was their most expensive model at the time. The Martin D-45 SS was based on Stephen Stills' own 1939 Martin D-45. Fingerboard inlays were snowlake or optional hexagonal with Stephen Stills Signature inlaid between 17th & 20th Frets. The tortoiseshell pickguard had a Southern Cross star constellation inlay. Take the MARTIN STEPHEN STILLS D-45 SS price survey. 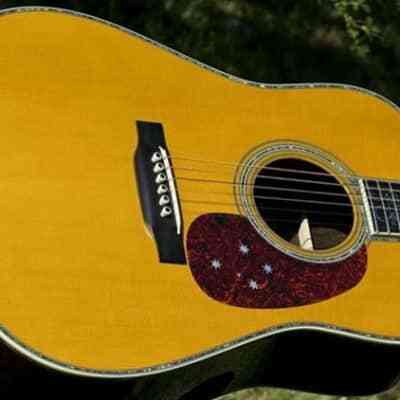 Buy MARTIN STEPHEN STILLS D-45 SS acoustic guitars.